A walk around Archangel Valley shortly after acquiring my new Canon 40D. 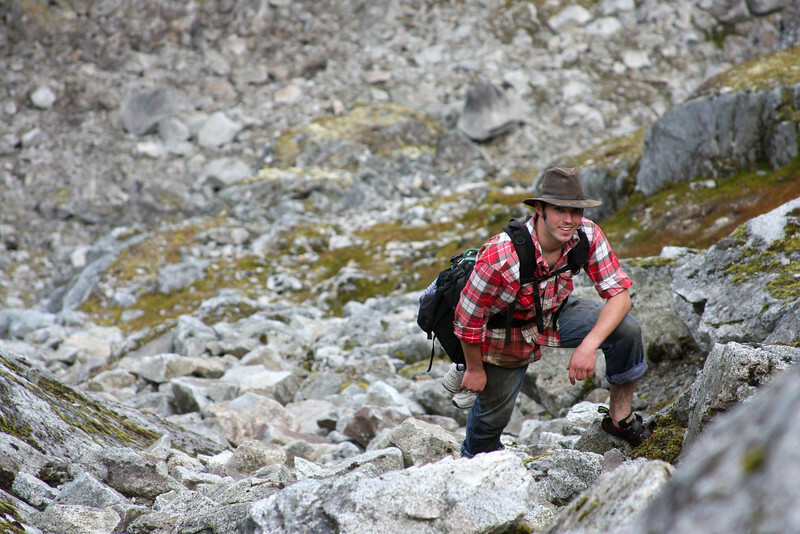 The boulders fall away as we make our way to the top of a ridge. Richard stops for a photo op.